Possibly even 87. Add Harper and they are in first place. Add Keuchel...? Not that projections are everything but it's certainly interesting. And the current projections already account for some fallback (from Nola, for instance) right? Yes, I am guessing they project Nola at something like 5 WAR rather than 10 (bWAR). Balanced by any projection probably has all the young starters improving by a half game to a game. Steamer has Nola at 4.1 WAR for next year though their formula only had him at 5.6 last year. Getting Santana out of LF probably had a 3-4 win gain just by eliminating the bad defense plus getting an extra win or two from SS (Segura). One can think we gave up too much yet still think that we could be a 90-win team with Machado. I believe that the Realmuto trade is the precursor to at least two more transactions this offseason. It looks like we are all in now so at least one of the big free agents and a trade for another piece seems likely to me. Not much left to trade! And having given up Sanchez I think I'd like to hang on to that second-round draft pick. I'd get Machado, trade Franco and Neshek for some minor league depth, and then go get another starting pitcher and (if necessary) OF bat at the deadline. With Realmuto on board you can afford to give the OF mix a little more time; ditto Franco if you sign Harper instead of Machado. Of course if they really want to see a 95 next those projections they could just get Keuchel. Trading Hernandez remains another possibility, at any time, but there just doesn't seem to be much market for him. Still FAs out there too. The next thing to be settled is whether or not they can/will sign Machado and/or Harper and to address adding another starting pitcher. I hope all this can be completed soon. Camp opens in a mere few days. They have to get one of Harper/Machado. They have to. Anyway, it feels good to be relevant again and I'm pretty optimistic heading into the season. If Machado is signed the Phls have Franco and a reliever two or three to package. If Harper is signed then they have Williams and relievers to deal. I have it on good authority that a Velasquez and Santana package was heavily discussed with Colorado before Santana was shipped to Seattle. So perhaps Velasquez could be added to aforementioned packages for a more established starter. It’s pretty obvious neither Machado nor Harper wants to be a Phillies member and keuchel Gio and Kimberl are still out there, but geesh Spring Training has all but started already. Neither Harper, nor Machado have signed anywhere else. SHould we say it obvious that they don't want to be a Met? A Cub? I think what is pretty obvious is that Boras has them holding out for the most $$$$ is all. Why is it pretty obvious? Assuming they sign Machado or Harper it would be natural to flip Franco or Williams/Herrera. Unless we have a full time DH of course. I do find it kind of amazing they are thinking about this after teams have had most of the offseason to reshape their roster. Of course we might have a role for Cozens on the roster too with a DH. Apparently we signed INF Sean Rodriguez to a minor league deal. I always liked that dude. Seems to have lost the batspeed needed to hit with his occasional power approach. Certainly versatile in that he has played every position except catcher and pitcher the last two years. AAA insurance against Kingery needing more seasoning most likely. With thanks to Rockinghorse over at the Back She Goes forum. I guess he's not bringing his choking ways here, if that's how he feels, I'd be glad to not have him. Ha - just read some of the other headlines, pretty funny actually! Yankees offer to Machado. $220M over 7 or 8 yrs. So that is either 31 mill per year Average Value or 27.5 per year (if its 8 years in length). Seems to be about right for Machado especially if he wanted to play in New York. The article says he has another offer that is higher not sure if its higher Average Value or total dollars. There opinion is its from the Phillies. Haha was just gonna post the Onion thing. The game of chicken seems to be as much between the two players at this point, not the players and the teams. 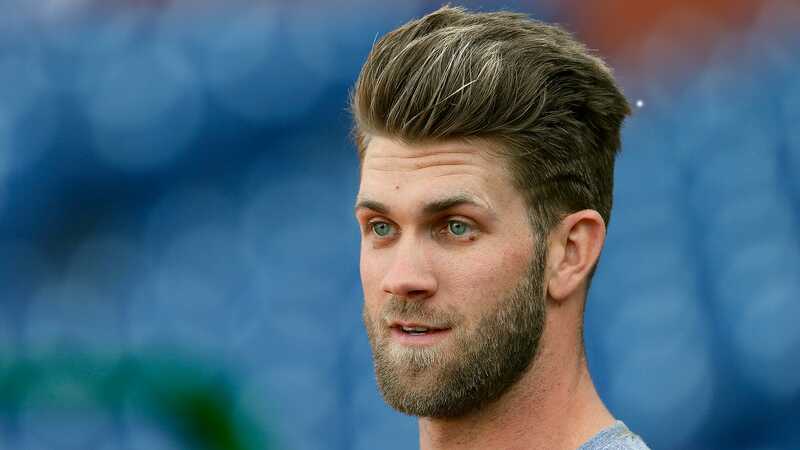 If Machado did sign with the Yankees Harper would probably sign quick, even if the bidding did get fierce. The Phillies offer to Manny probably isn't that much higher than New York's. If they are offering $220 and the Phillies are offering $250 and the White Sox and Yankees don't seem inclined to go much higher does Machado really think he can push teams into another round of raises over the next two weeks? The only thing that will push one of these guys closer to 300 is if the other goes off the board.